The Northern Trust has launched a new service model that provides communities with access to a dedicated, local team. Each team includes community nursing, social work and occupational therapy and is closely aligned to a range of other recovery and support services. The new model involves the creation of four localities within the Trust; Antrim/Ballymena, Causeway, East Antrim and Mid Ulster. 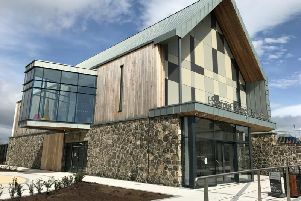 As part of this, several teams in Mid Ulster have moved from the Community Services Centre, The Diamond Medical Centre and Dalriada Urgent Care to Thompson House. The teams now have new phone numbers and service users are encouraged to make a note of these. On Wednesday 25 January the Hospital Diversion Nursing Team will also relocate from Dalriada Urgent Care, Moneymore to Thompson House and their new contact number will be 028 7936 6766.